Homer's Travels: Photograph: "Not A Match"
When I traveled for work I used to keep all the matchbooks from the hotel rooms I stayed in. Naturally this was before the existence of non-smoking rooms. I still have a rubbermaid tub full of them in the basement but none of them looked like the one I saw during my walk today. 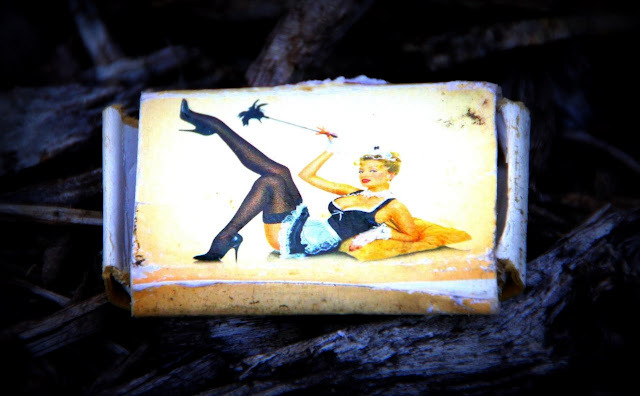 I did have a collection of three or four humorous and slightly racy hillbilly matchbooks when I was a kid. I really didn't know what racy meant as I was only eight years old at the time. Not sure if they survived the multitude of moves I made since 1972.